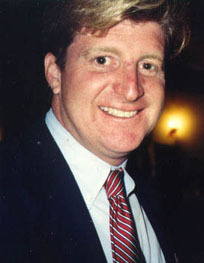 Son of Senator Ted Kennedy, nephew of President John F. Kennedy and Attorney General Robert F. Kennedy. Elected to the Rhode Island legislature in 1988, while still a college student. Served eight terms in the US Congress, succeeding Ronald Machtley in 1995. Supported adding prescription-drug benefits to Medicare, gun control legislation, the 2002 Iraq war resolution, 2008 Wall Street bailout, 2009 economic stimulus, and 2010 health care reform. Several stints in rehab for assorted addictions including alcohol, oxycontin, and painkillers. Succeeded by David N. Cicilline after not standing for re-election in 2010.